Why Do We Work in Somaliland? Situated in the Horn of Africa between Somalia and Ethiopia, Somaliland has made tremendous strides since the civil wars that afflicted the region from the late 1970s through the early 1990s. The limited data available coupled with statistics from neighboring Somalia suggest a high rate of maternal mortality, in turn indicating high instances of childbirth injuries like obstetric fistula. The risk of developing a fistula is increased due to factors such as inadequate prenatal care, malnutrition, and, to a lesser extent, early marriage. Improving both access to and quality of obstetric services and fistula care in Somaliland is critical. We provide grant support directly to National Borama Fistula Hospital. We have provided grant support to Edna Adan University Hospital both through Direct Relief International and directly to the hospital. How will this help women in Somaliland? The National Borama Fistula Hospital (NBFH) is the only hospital in Somaliland dedicated exclusively to fistula treatment. They have three full-time fistula surgeons who perform over 400 surgeries annually. The hospital also administers a variety of other activities, such as rehabilitation and skills training for fistula patients, awareness campaigns on radio and TV, and training for community health workers to better identify and refer fistula patients for treatment. Funding from Fistula Foundation recently enabled NBFH to purchase a new anesthesia machine, and current funding will help support the costs of treatment, outreach activities, and training for health care providers and surgeons. Edna Adan University Hospital in Hargeisa was founded by Edna Adan, an inspiring figure and advocate for women, girls, and health. The first Somali woman to be certified as a nurse-midwife in the United Kingdom, Edna spent several decades training midwives in her home country and as a representative of the World Health Organization (WHO) throughout Africa and the Eastern Mediterranean Region. After retiring from WHO, Edna returned home to Somaliland to realize her dream of opening a hospital to help improve healthcare conditions for the women and children of her country. After the hospital opened in 2002, Edna simultaneously served her country as Minister of Family Welfare and as Foreign Minister. Her hospital, which was built on the site of a former garbage dump, is now one of the preeminent medical facilities in the country. In 2009, Fistula Foundation funded the construction of a brand new fistula repair facility at the hospital, significantly increasing their capacity to treat fistula patients locally. We have since provided funding for a variety of projects, including treatment, anesthesiology and midwife training to improve the hospital’s ability to provide routine surgical care, and transportation costs for women who come from hundreds of miles away to access care at Edna Adan University Hospital. Somaliland is internationally recognized as an autonomous region of Somalia; however, its self-proclaimed independence remains unrecognized by any country or international organization. 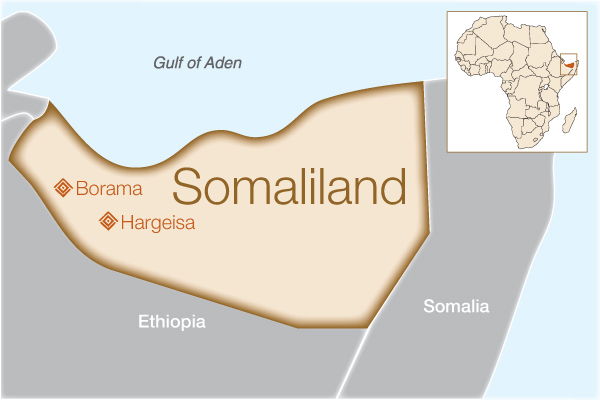 The following are Somalia's country facts, which include Somaliland's information and statistics. Sources: CIA World Fact Book; WHO, World Bank.